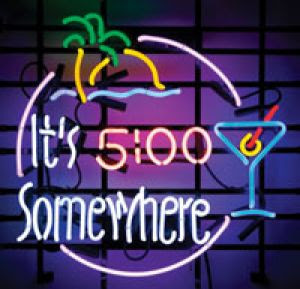 It's 5 o'clock somewhere which means it's drinkin time. Not sure what to drink? Well, that depends on what you're listening to. Go to Drinkify.org, type in the artist and within seconds a cocktail recipe will appear. I suggest you try: Brian Eno, Kanye or Alan Jackson. Combine in highball glass and serve. Stir vigorously. Garnish with olive.